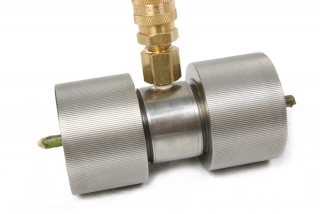 This instrument is used to simulate cavitation of xylem vessels in plants under stress. 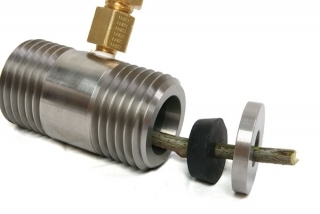 A plant stem, limb or root is introduced into the Cavitation Chamber and a head of water is connected to the sample to measure water conductivity. The chamber is then pressurized to “seed” air into the xylem. 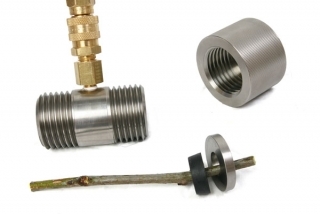 It can be used to establish vulnerability curves in plants or to continue research in the area of xylem cavitation. The chamber is in the center and is 3.20 inches long. The rubber gaskets slide down the sample and seat inside the chamber. The metal “inserts” slide down behind the gaskets to help them seal. The caps screw down to finish the seal and hold everything in place. 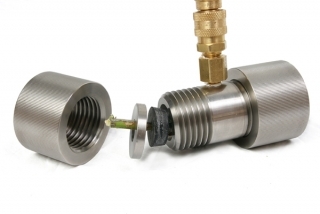 The sample must be at least 4.25 inches to properly pass through the chamber. 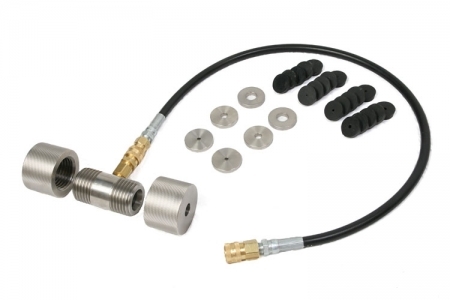 100 bar capacity (10 Mpa) digital gauge, 3 foot hose connecting to Cavitation Chamber, Cavitation Chamber, 2 metal inserts of following sizes (5/8”, 3/8”, 3/16”), 5 rubber gaskets of each size (blank, 1/16”, 1/8”, 3/16”), 6 foot hose to connect instrument to nitrogen tank. 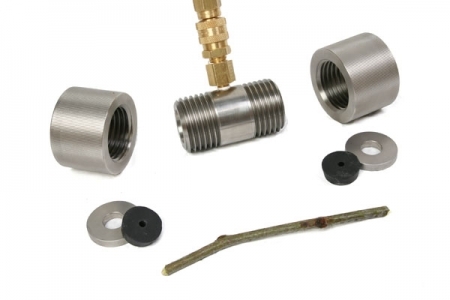 As there are many ways of connecting samples to a head of water and measuring water conductivity, it has been left up to the user to supply tubing, connections, head of water and measuring devices for testing conductivity in the sample. Laboratory and medical supply stores can supply most of this equipment. A combo unit is the best of both worlds – The 1505D-EXP allows you to take Pressure Chamber readings or do work with the Cavitation Chamber. More information about cavitation research.